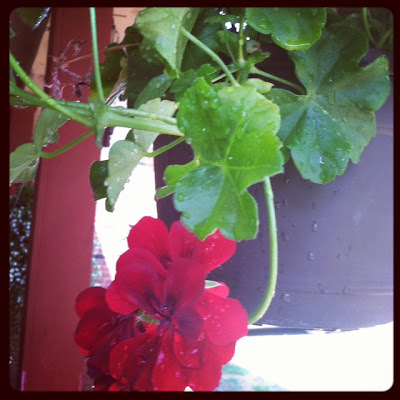 I have never in my life had a green thumb, but it has never really stop me from trying. I have skipped a few years of gardening, but this year I am in love. I couldn't help myself from giving it another go. I also couldn't help showing you a few of my favorites this year. My first project was inspired by pinterest of course. Who isn't inspired by that website. Anyways I tried to trace back the original origin of the pin to give the creator created, but I had no such luck. So if you know shoot me a message and I will create them. In the mean time....well done person with the idea!!! Of course my flowers aren't as big yet fingers are crossed that they do actually grow. I also think that I choose smaller pots. My little corner was not that huge so I am glad for that. All in all I am happy with the little project. Meet the Beast....So I cheated and bought this one! Okay so I didn't actually grow the Beast, but I loved it so much when I laid eyes on it at the Nashville Flee market. I blame this plant and pinterest for the desire to gain a green thumb this year. Isn't she lovely!!! Last of the flower picture show today is Ms. Ivy Geranium below these are one of my favorites to have. I love the leaves on this plant. What is your favorite flowers this season? I love the flower pot tower in the corner that you did! So cute!! I really love tulips but it's so sad that they only live just a short time. I like stuff too that grows back easily on it's own-knock out rose bushes, hydrangeas (sp? ), day lillies, ect...I know there are tons more but I haven't had to research all that yet since we don't own a home. :o) ...but when we do, I'll be planting flowers! 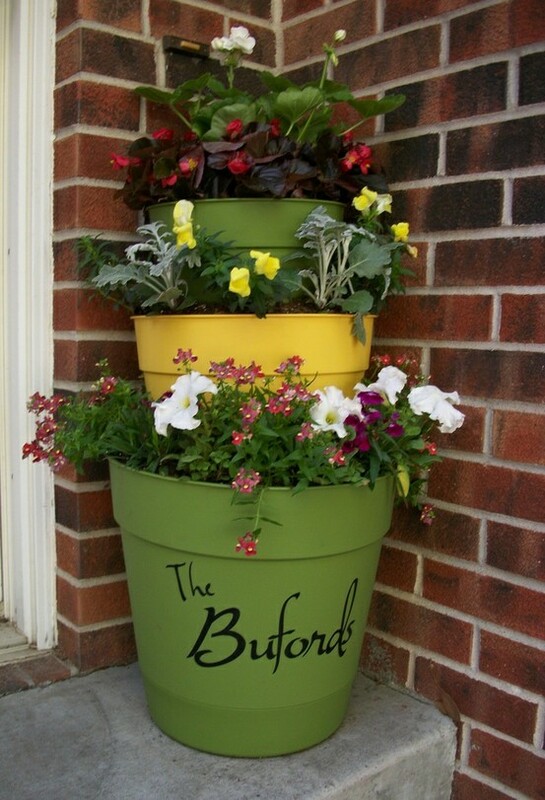 I love the pots with your family name on it - super beautiful. I miss you in Wow - especially since I'm beta testing the new expansion. @ Mominsanity...Thank you! I miss you also! I miss all my World of Warcraft Pals so much!!!!! 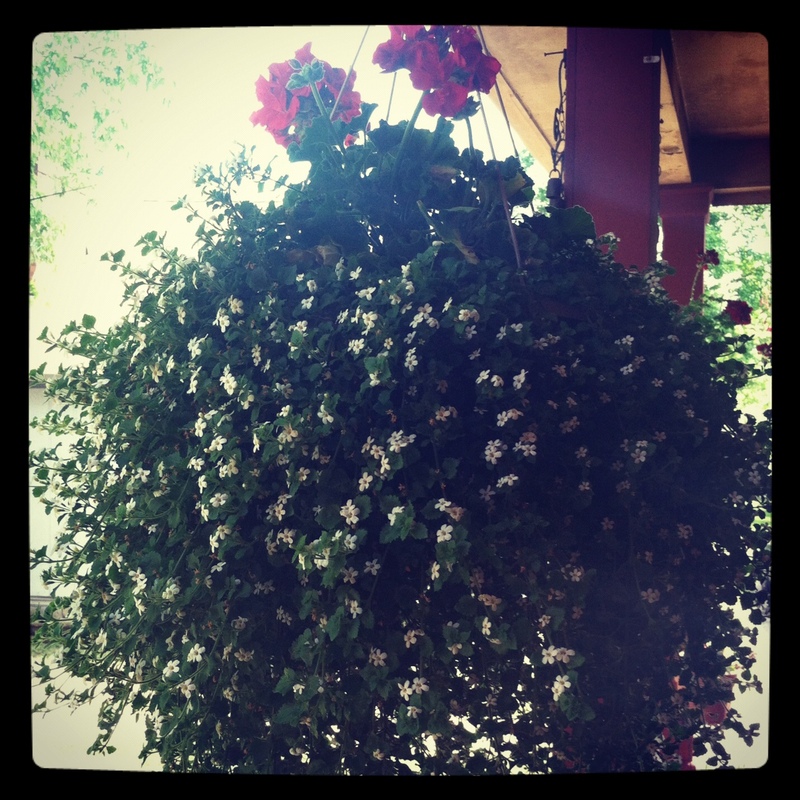 I do not have a green thumb either much to my mama's dismay. 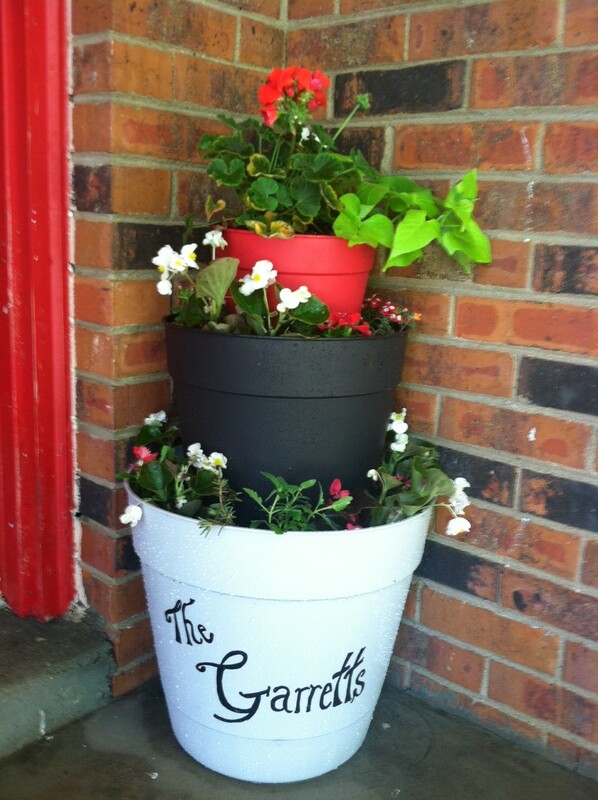 Your tier planter looks awesome!